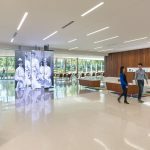 The Mercy Virtual Care Center is a transformational approach to healthcare for the 21st century. 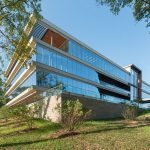 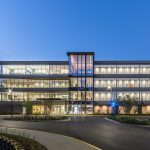 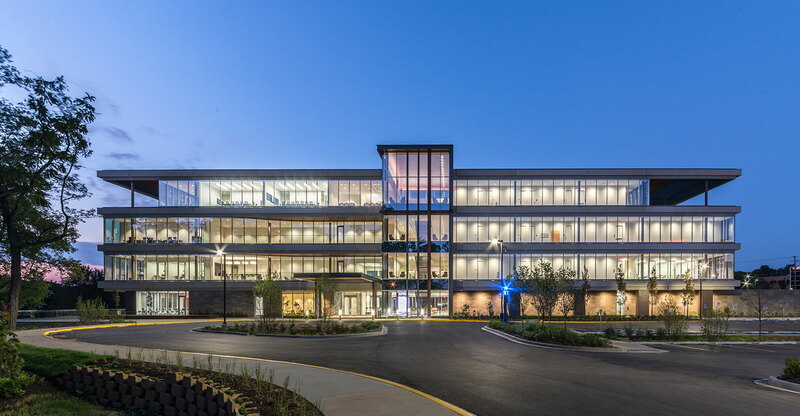 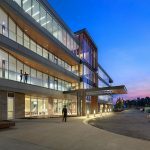 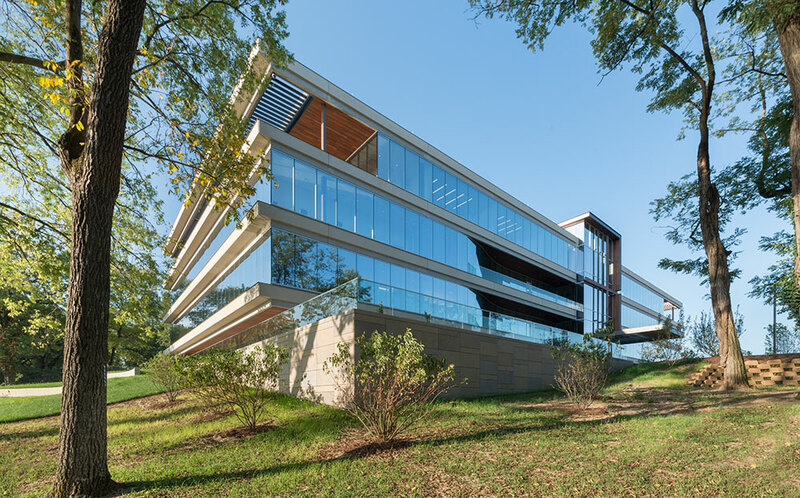 This 125,000 square foot facility provides a dynamic, flexible environment that supports delivery of around-the-clock telemedicine, care management and business management for virtual health care. 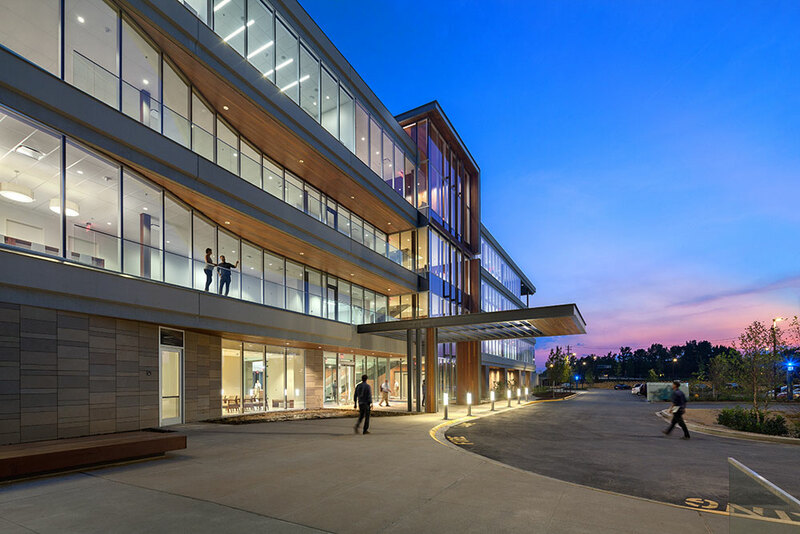 The first of its kind in the world, the VCC extends the health care professional’s reach and gives patients access to a broader range of specialists. 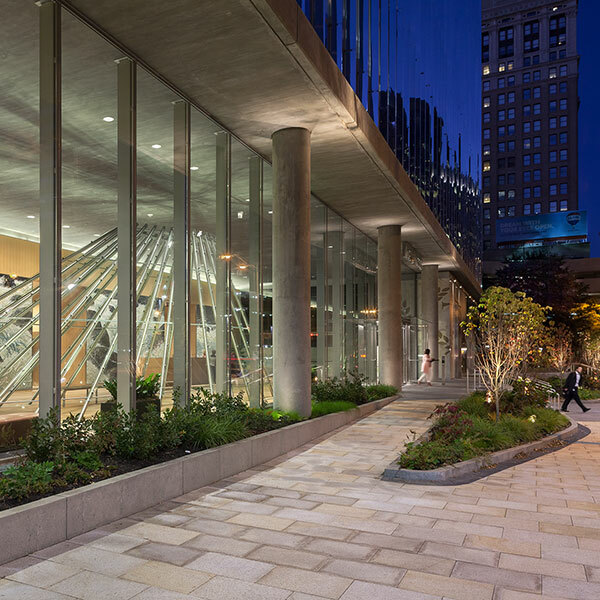 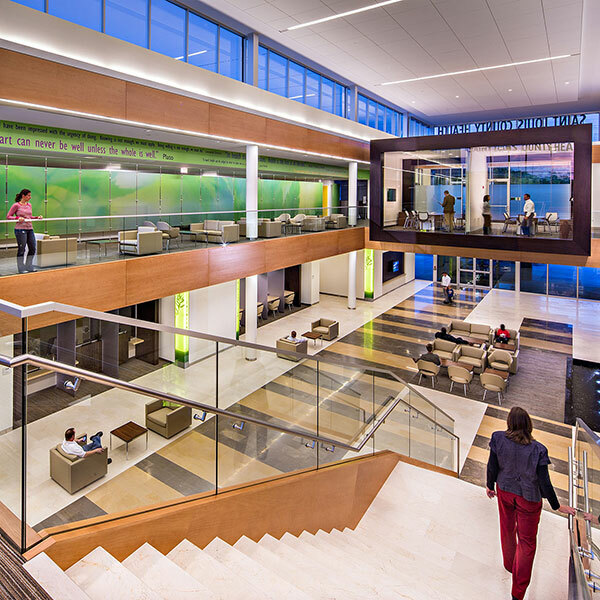 The creation of this center demanded sensitive and innovative solutions from the entire design team, including lighting. 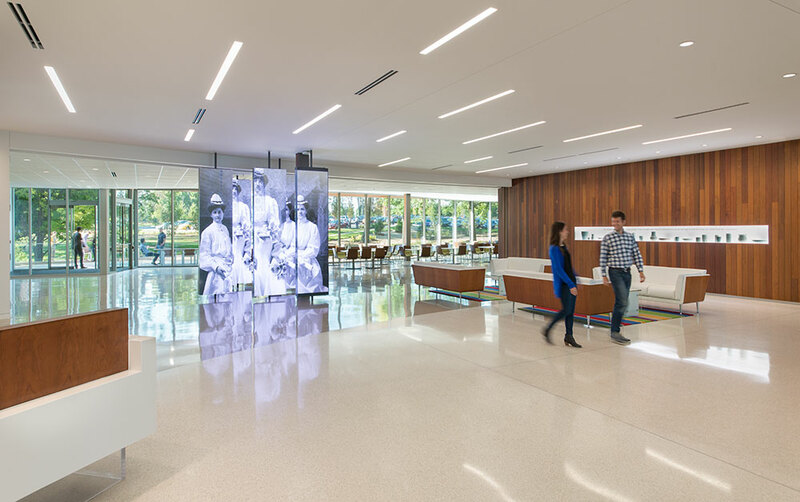 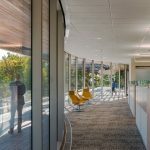 Lobby lighting expresses the forward thinking dynamic of the facility’s healthcare focus, compliments daylight from perimeters, and reinforces the featured materials and displays. 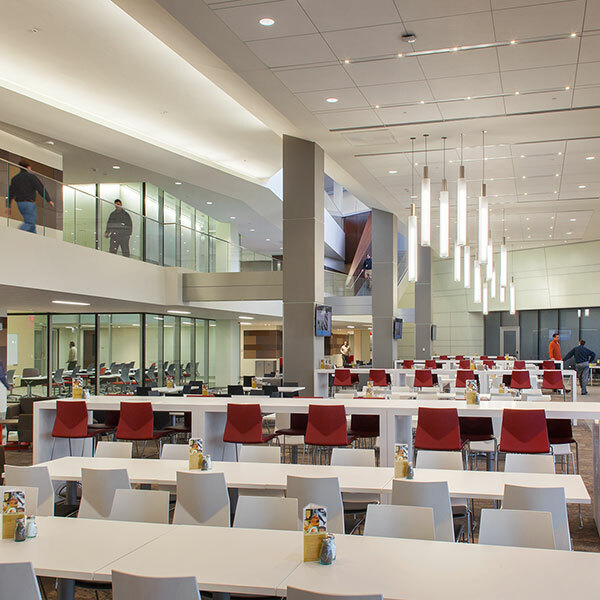 The typical virtual care floor areas receive ambient illumination from suspended indirect/direct LED luminaires, while integrated task lighting combines with uplighted contoured shading elements at each workstation, allowing health care professionals to interactively personalize their visual conditions. 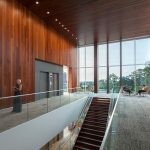 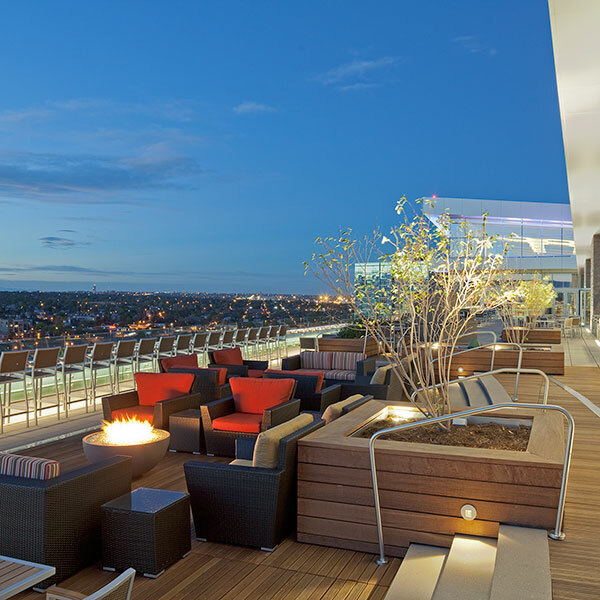 The virtual care floor window walls offer views out, while exterior louver elements provide sunlight protection and work in concert with a daylight harvesting strategy for perimeter bays. 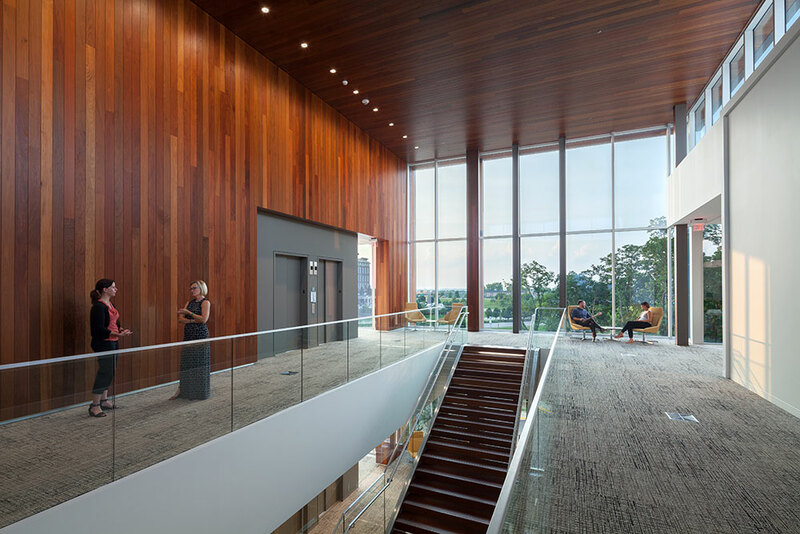 These same walls open onto balconies that thrust toward the forested canopy beyond. 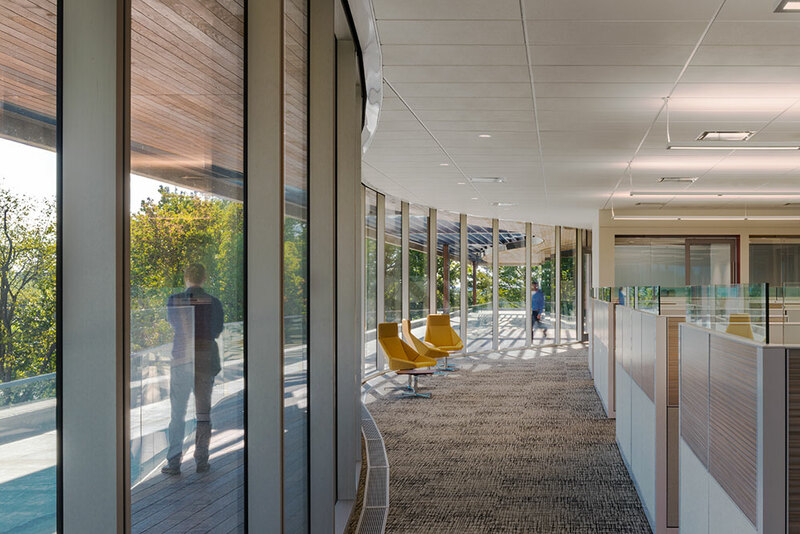 Central to each care floor are circular-plan, open room “pods” that provide flexible gathering space for informal training or interactive discussion. 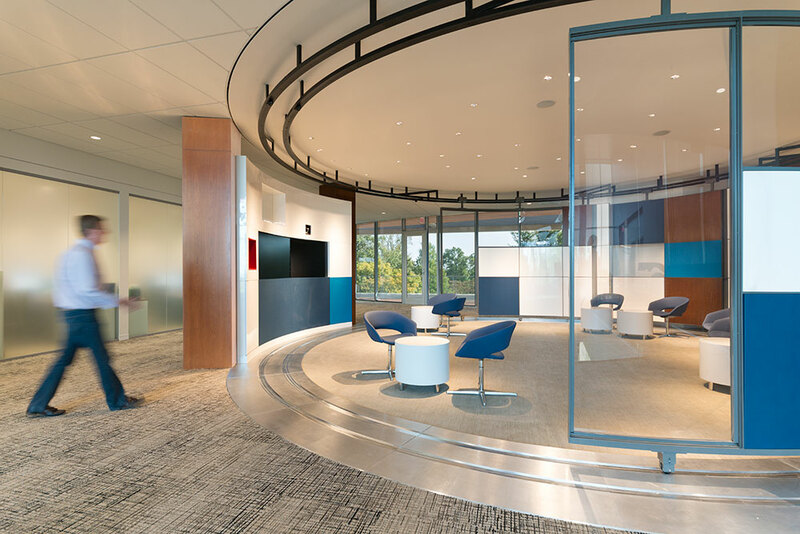 Both recessed accent and wall washing point sources reveal wall and task areas, and are controlled as presets to support various spatial uses.